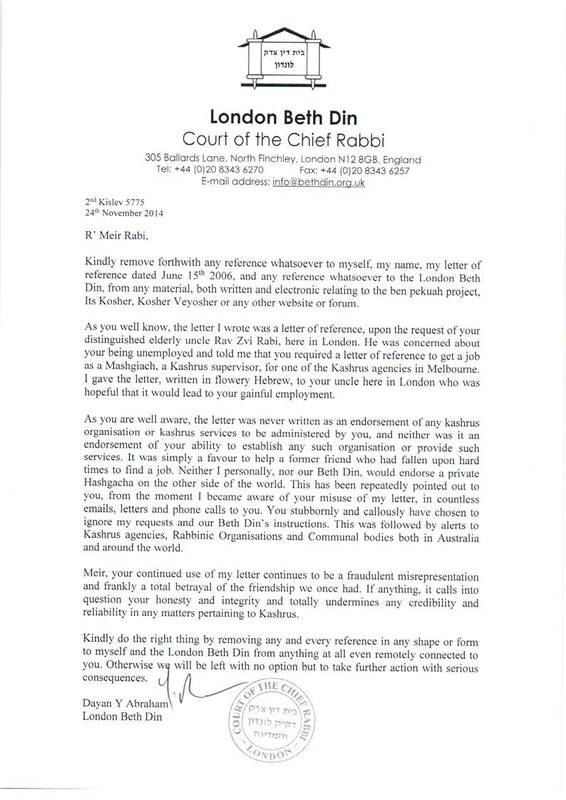 It was predictable, that the hard-hitting and often “on the money” Isi Leibler would come out in full support of Rabbi Riskin. Isi, if I’m not misquoting him, is also a supporter of Rabbi Benny Lau, who is a controversial figure. What Isi fails to notice is that Rav Soltoveitchik was a Charedi in his outlook on Torah and Mitzvos. The difference was that Rav Soltoveitchik could make a Psak (many were often contradictory for good reasons) and “take on” any Gadol BaTorah in the entire world and flatten him with his learning and brilliance. His use of the philosophical world was to broaden the understanding of Torah. Rabbi Riskin is a very impressive man. I enjoyed his latest book immensely. One thing that was clear though that Rabbi Riskin, when in doubt, always went to seek advice from some mentors. He used to go to Rav Soltoveitchik and then to the Lubavitcher Rebbe (especially when the latter enfranchised him to work underground for Soviet Jewry). I feel that Rabbi Riskin is now missing his mentors. Who isn’t? His last few more controversial steps are argued among the real students of Rav Soloveitchik, of whom I consider Rav Hershel Schachter שליט’’א, the carrier of Rav Soloveitchik’s Torah Mesora and דרך הלימוד ופסק par excellence. Far be it from me to be one to proffer advice to Rabbi Riskin, (I don’t come to his ankles) but the one Rabbi I would go to discuss issues of grave halachic import in Israel with, is actually Rav Shlomo Zalman’s son in law, Rav Zalman Nechemia Goldberg. He is very much attuned with the real world, as was Rav Shlomo Zalman himself. He is a wise man, very attuned to the real world, and void of politics. I’ll close with Isi’s article, and that of Rabbi Gil Student. You decide. Regarding the Chief Rabbinate, I agree. The calibre of Rabbi is not what it should be. Rav Ovadya Yosef was recently described as מיוסף עד יוסף לא קם כיוסף where the first Yosef is R’ Yosef Caro the author of the Shulchan Aruch. I agree with this whole heartedly. Sadly, political appartchiks are now in the seat. Indeed, reading what Rav Soltoveitchik wrote about the Chief Rabbinate, is as true now as it was 30 years ago. He was utterly opposed to the concept. Here is Isi’s article, followed by R’ Gil Student. The despicable effort by the haredi-controlled Chief Rabbinate to purge Rabbi Shlomo Riskin because he does not conform to their stringent halachic approach may prove to be a blessing in disguise. The anger this outrageous initiative generated could be the final straw needed to dissolve this corrupt institution, which is held in contempt by most Israelis — including, ironically most haredim. Rabbi Riskin is one of the outstanding role models of the religious Zionist community. I am privileged to have known him for over 30 years and consider him one of the greatest and most beloved Modern Orthodox rabbis of our generation. He is also an extraordinary creator of Jewish institutions. A student of the great Rabbi Joseph Soloveitchik, in 1964 Riskin became the rabbi of Manhattan’s Lincoln Square Synagogue, which he transformed into one of New York’s most successful Orthodox religious centers. In 1984, at the peak of his career, he moved to Israel and became founding chief rabbi and a leading developer of Efrat, which is today a highly successful community. In addition to acting as a communal rabbi, he launched the Ohr Torah Stone institutions, which include one of the best networks of Modern Orthodox schools in Israel, ranging from junior high school through to graduate programs. He also created a special program to inculcate young men with the knowledge and skills to be effective rabbis and educators throughout the Jewish world. He displayed innovation by seeking to blend Halachah with the requirements of a modern industrial Jewish state. He strove to upgrade the status of women and to this effect launched Midreshet Lindenbaum, a college designed to educate religious women. He also created a five-year program designed to train women to act as religious advisers paralleling rabbis. This and his efforts to address the issue of agunot (women in unwanted marriages whose husbands are unwilling or unable to grant them divorces) outraged the ultra-Orthodox. Rabbi Riskin also had a major impact in the field of marriage, divorce and above all, conversion, where he established independent conversion courts that were bitterly challenged by the haredi establishment. Riskin considers the issue of conversion — especially related to immigrants from the former Soviet Union — as one of the greatest religious, national and societal challenges facing Israel. He was at the forefront of efforts by the moderate Tzohar Rabbinical Council to decentralize the appointment of rabbis and provide Israelis with choices beyond the extremist ultra-Orthodox candidates appointed by the Chief Rabbinate. When at the age of 75, Rabbi Riskin’s tenure came up for a five-year extension — an automatic procedural formality, the Chief Rabbinical Council took the unprecedented step of refusing to reappoint him. It was only due to a plea from the recently elected chief rabbi of Jerusalem, Rabbi Aryeh Stern, that the council reluctantly agreed to interview him. He only learned about his provisional rejection from the media. This was not merely an attempt to publicly humiliate one of the doyens of Modern Orthodoxy. It was a ploy by the ultra-Orthodox fanatics to assume unprecedented total centralized control of religious leadership and to marginalize those with different approaches. But choosing to impose their agenda on Efrat, a bastion of national religious Zionism, is likely to backfire and the crude effort to oust Rabbi Riskin against the wishes of his community, exposes crude agenda of the Chief Rabbinate. As far back as the Mishnah, there were robust debates in the interpretation of Halachah between the more liberal Beit Hillel and more stringent Beit Shamai schools. And this process of debating the “70 faces” of Torah ensured that a plurality of interpretations prevailed at all times. Now even the ultra-Orthodox compete among themselves to impose the most stringent interpretations of implementing Jewish laws. This is being extended to the Diaspora with the Israeli Chief Rabbinate insisting that that conversions to Judaism by Orthodox rabbis lacking their endorsement should no longer be recognized as Jews by the government of Israel and thus ineligible for aliya. This is outrageous and entirely beyond the jurisdiction of the Israeli Chief Rabbinate. Former chief rabbis like Rabbi Isaac Herzog, Rabbi Shlomo Goren and others were outstanding religious scholars, moderate and devoted religious Zionists in stark contrast to the mediocrities and corrupt individuals who succeeded them when the haredim hijacked the Chief Rabbinate. It is significant that the current Ashkenazi Chief Rabbi David Lau ensured his election by giving an unqualified undertaking to haredi groups that he would resist any proposed reforms relating to conversions or rabbinical administration without their prior approval. To make matters worse, the level of corruption and scandals associated with the Chief Rabbinate reached bedrock when the former chief rabbi (whose appointment was orchestrated by the haredim to block a national religious candidate of genuine stature) was arrested and charged with purloining millions of dollars from illegal activities and corrupt practices. Education Minister Naftali Bennett, who heads the religious Zionist Habayit Hayehudi party, stated that the Chief Rabbinate was behaving in an “unacceptable” manner and that he would not stand by and permit this. The Efrat municipal council unanimously voted to extend the rabbi’s tenure and condemned the intervention. Rabbi Riskin made it clear that if necessary, he would appeal to the Supreme Court but that so long as the Efrat community wished to retain him, he would continue to serve them as rabbi without payment. The abject silence of Diaspora Orthodox institutions was disappointing, encouraging Rabbi David Stav, the head of Tzohar, to call on Jewish communities in the U.S. to stop inviting Chief Rabbis David Lau and Yitzhak Yosef as their guests if the Riskin provocation is not withdrawn. The Rabbinical Council of America, once a robust Modern Orthodox group, expressed the hope that the differences would be amicably settled. 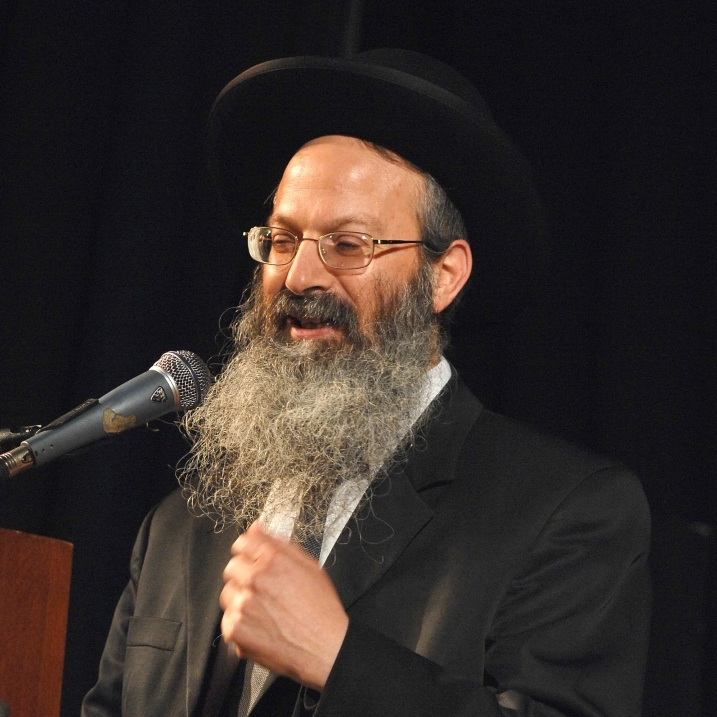 One of its executive officers, Rabbi Avrohom Gordimer, actually accused Rabbi Riskin “of violating the trust of his employer and contravening the rulings of the most pre-eminent halachic authorities of this and previous generations,” alleging that “the employer had more than ample reason to maintain that his employee was not adhering to the policies and values that he was hired to uphold.” This obscene depiction of Riskin as an employee of the Chief Rabbinate reflects the distorted mentality of those currently controlling the institution. In view of the waves of protest, there is every probability that the Chief Rabbinate will back down. But now is the time for Israelis and Orthodox Jews throughout the world to raise their voices and say enough is enough. Despite the repercussions of a division, breaking away and setting up independent religious courts directed by moderate Zionists is the only means by which to terminate the exclusive control of the haredim. Throughout the Exile, the rabbinate never imposed centralized religious control and there was always a plurality of differing halachic interpretations. The issue is not whether we should be more or less stringent in the application of Jewish law. Any Orthodox community should be entitled to select its choice of spiritual leader. Haredim are entitled to practice their religion as they see fit. Indeed, there are aspects of their spirituality and lifestyle that our hedonistic society could benefit by emulating. But that does not provide a license to enable the most extreme elements to impose their limited worldview on Israeli society. The Chief Rabbinate is regarded with contempt and despair by the vast majority of Israelis, including most haredim, who merely exploit the institution for their own purposes. The greatest impediment to the current religious revival is the deplorable status of the rabbinical bureaucracy, which alienates rather than attracts Israelis to their Jewish heritage. The scandalous effort to degrade one of the most beloved and successful Orthodox rabbis of our generation should be a wake-up call to introducing highly overdue, radical changes in the rabbinate. If you want to know why Rabbi Shlomo Riskin is apparently being forced into retirement by the Israeli Chief Rabbinate, you have to read his recent book, The Living Tree: Studies in Modern Orthodoxy. I don’t claim any insight into the complex politics of Israel’s governmental organizations, of which the Chief Rabbinate is one. I don’t know enough to understand the power struggle that is occurring. However, in terms of ideology, I see why the Chief Rabbinate Council would express concern over R. Riskin. His book is more radical than many might expect. This is not the same Rabbi Riskin you may remember from the 60’s and 70’s. If you are familiar with rabbinic literature of the past century, you will immediately recognize that these are legitimate principles that can and have been (ab)used to overturn wide swaths of Jewish law. The essays in the book provide many examples of R. Riskin’s applications of these principles. There are two things going on here. First, R. Riskin is promoting his own fairly radical agenda, as would be expected. Second, he is setting the stage for future rabbis to make even more changes to Jewish practice according to their own understanding of what is needed, regardless of what traditional texts allow. Another troubling trend I find in this book seems to be the result of an editorial oversight. Most of the essays were written over the course of decades, as R. Riskin’s experiences and outlook changed. While the essays were edited for consistency and maybe updated a little, the conclusions were largely left intact. Here we see a troubling difference in how R. Riskin reaches conclusions. Regarding changing the daily blessing “Who has not made me a woman,” R. Riskin writes: “I would not permit even so minor a change without the approval and approbation of several leading halakhic authorities” (p. 159). While R. Riskin advocates annulling marriages, he does not plan on doing so unilaterally. Rather, “this should be effectuated by a special Beit Din for agunot in Jerusalem with impeccable halakhic credentials who would render judgments, and rule on urgent issues of mesuravot get throughout the world” (p. 188). In his call for theological interfaith dialogue with Christians, R. Riskin repeatedly invokes Rav Soloveitchik, albeit in what I believe is a twisting of his words but at least as an appeal to an eminent authority. When it comes to women dancing with a Torah scroll on Simchas Torah–which I acknowledge lacks the gravity of some other issues under discussion–R. Riskin likewise does not mention consulting with other scholars. When discussing establishing a Hesder yeshiva for women–a matter of great communal importance–R. Riskin also omits discussion with great authorities. What I see is a rabbi whose agenda has become increasingly radical. Realizing that he was engaging in activities for which he would not gain approval of his elders, he stopped asking. Instead, he moved forward on his own authority. A young R. Shlomo Riskin regularly consulted with Rav Soloveitchik, Rav Moshe Feinstein and the Lubavitcher Rebbe. When they passed away, he was no longer restrained. In America, R. Riskin was a defender of Orthodoxy against the Conservative movement and a defender of Judaism against Christian missionaries. That is not the R. Riskin you will find in this book. Maybe in Israel he found himself in a different situation which has given him a new perspective. He now has Christian supporters in his role as a defender of modernity against Charedi Judaism. Maybe he simply underwent a personal evolution. However, this is all speculation. Regardless of why, R. Riskin has taken some communally radical actions and created surprisingly unorthodox institutions entirely on his own initiative. Some people love him for it. We should not be surprised that others believe he has gone too far on too many issues. Whether that is cause for him to be forced into retirement I leave to his employers and constituents. Disclaimer: Isi’s son is my brother-in-law. Do elevators “need” a Mezuza? I found this from R’ Sholom Klass. Q. Do elevators require a Mezuzah? A. There is a debate among authorities as to whether elevators require a Mezuzah. Most authorities feel that since the elevator is not stationary it is exempt from a Mezuzah. Thus an elevator or a door leading into an elevator does not require a Mezuzah. The authorities that do require a Mezuzah on elevator doorways that are stationary write that it should be affixed on the right side as one enters the elevator on the bottom floor. On the other floors it should be affixed on the right side as one exits the elevator and enters the hallway. If he could explain us, where should mezuzah be affixed by the entrance of elevator in multilevel building. Is there difference between floors of the building? There is more than one opinion on this issue. The Responsa Minchat Yitzchak (4, 93) holds that the elevator itself requires a mezuzah from the inside and not in the entrance of every level. In any case because of the doubt the mezuzah will be placed without a Brachah. Note that Chacham Ovadia Yosef discusses this issue in the aforementioned chapter (p. 300), and he concludes that we do not consider the time spent on a boat a permanent residence, and thus it does require Mezuzot. This principle applies as well to other rooms that are not intended for permanent residence, such as elevators, buses, airplanes and jetways leading from airport terminals to planes. In all these situations, even if there are rooms of a size that normally obligates a room in Mezuza, no Mezuza is required, given the temporary nature of the use of these structures. Summary: One who returns home after an extended absence does not recite a new Beracha over the Mezuzot in his home. One need not affix Mezuzot to the doorposts of boats, elevators, buses, airplanes or other structures that are not used for permanent residence. Rav Yisroel Yaakov Fischer and Rav Shlomo Zalman Auerbach – Mezuza On The Elevator Door? In Even Yisroel (9:100), Rav Yisroel Yaakov Fischer is asked if when he paskened that one is required to put a Mezuza on the entrance of the elevator, he had seen Rav Shlomo Zalman’s psak in Minchas Shlomo. Rav Shlomo Zalman says that in principle an elevator is patur from a Mezuza but you should put a Mezuza on the right side of the door when coming out of the elevator without a bracha. Rav Shlomo Zalman’s reason, as brought down in the Even Yisroel, is that since when the elevator is not on that particular floor the doorway serves as an entrance to an empty pit, it cannot be considered a doorway since you cannot come in and out unless the elevator is there. Only in the case where there is a doorway to a ladder that is fixed in its place to go up and down, is there a requirement for a Mezuza. Rav Fisher says that he hadn’t seen the Tshuva but after studying it now he doesn’t change his psak. Using Rav Shlomo Zalman’s analogy, Rav Yisroel Yaakov Fisher argues and says that if each person on the floor had his own doorway for the ladder that they all shared, and the ladder could be moved from one doorway to the other, each person’s doorway would definitely be required to have a Mezuza. The fact that the ladder is not always there. and then the doorway leads to a long drop down to the courtyard, does not take away the obligation for a Mezuza. Similarly the fact that the elevator is not always there does not exempt the doorway from requiring a Mezuza. This a fascinating question from the perspective of applying classical halachot to new situations, which can and does prompt varied conclusions in this case. As far as the bottom line l’maaseh, our response will be somewhat more straightforward. We will refer to a residential building. The status of mezuzot in commercial settings, even in normal rooms, is a major issue in its own right (see Living the Halachic Process, G-4). The Rambam (Mezuzah 6:9) says that there is no need for a mezuzah on a sukka or on a house on a boat because these are not permanent places of living. Similarly, an elevator does not have a usage in a set manner because, from the perspective of any specific floor, one cannot access it when it he wants. Rather sometimes it is here and sometimes it is there (B’tzel Hachuchma III, 80). On the other hand, there is a concept that a beit sha’ar (a hut that serves as a gateway) that is open to a house does require a mezuzah (Shulchan Aruch, Yoreh Deah 286:7). This is the case even when the beit sha’ar does not have the regular requirements of a room that would require a mezuzah. Thus, for example, the Chamudei Daniel (cited in the Pitchei Teshuva, Yoreh Deah 286:11) says that a beit sha’ar requires a mezuzah even if it does not have the usual size of 4 amot (approximately 6 feet) by 4 amot. In some ways then, an elevator is more likely to require a mezuzah than a sukka. While it moves around from place to place, it serves a function on behalf of a building where people live on a permanent basis (Minchat Yitzchak IV, 93, based on the aforementioned Chamudei Daniel). Yet, this is far from a simple matter. Firstly, the approach that an area can require a mezuzah just because it serves an area that requires one is not necessarily accepted (Minchat Yitzchak, ibid.). Secondly, the elevator does not even serve as a set beit sha’ar for any floor’s elevator shaft but is a roving beit sha’ar. Those poskim who do recommend placing a mezuzah for an elevator, for the most part say to do so without a beracha because there does not seem to be more than a doubt that it is required (see some opinions in Pitchei She’arim 286:220-222). These poskim also have another issue to contend with: where would one put it. On one hand, you might want to put it on the entrance from the corridor into the elevator shaft. This would require a mezuzah on each flight. One posek said that on the first floor, where one enters the building, it would be on the right side going in, whereas on other floors, where one first and foremost, exits the elevator, it would be on the right side from the perspective of one leaving the elevator (Chovat Hadar 5:11). On the other hand, some say that the elevator shaft is just a dangerous hole that is sealed except when the elevator opens up next to it. Therefore, one would put a mezuzah on the elevator’s entrance. That way, whenever one would move from the corridor to the elevator shaft, one would meet an elevator in the entrance (Minchat Yitzchak, ibid.). In any case, what is most important in such a matter is that the minhag ha’olam (the accepted practice) is to not put a mezuzah anywhere around an elevator. While we have seen some reasons to explain why one might want to place one, we have not found close to a consensus of poskim to require it. In such a case, it is not positive to start a trend to contradict an accepted practice based on doubt, which almost automatically, in our days, starts off a chumra (stringency) race to have the most halachically advanced building. In many circles, this could be seen as casting aspersions on others, actually on the masses, and the disadvantages of the chumra outweigh its advantages. Author pitputimPosted on October 31, 2014 Categories Halacha, Mezuza, R' Moshe Feinstein, R' Ovadya Yosef, R' Shlomo Zalman Auerbach, Rav ElyashivTags Elevator, mezuzaLeave a comment on Do elevators “need” a Mezuza? Occasionally, people from the hareidi community question or attack my articles. Even though they are well aware that I strive to follow in the path of Maran Harav Kook zt”l, nevertheless they argue: “Why don’t you accept the authority of the Gedolei haTorah (eminent Torah scholars)?” The simple answer is: I don’t consider them Gedolei haTorah. They definitely are important talmidei chachamim (Torah scholars) whose fear of sin precedes their wisdom, educate many disciples, and it is a mitzvah to respect them. But they are not Gedolei haTorah. Gadlute beTorah (Torah greatness, eminence) necessitates an all-embracing, fully accountable handling of serious issues facing the generation, including: the attitude towards Am Yisrael in all its diversity and various levels – both religious, and non-religious; the attitude towards mitzvoth of yishuv haaretz (settling the Land) and the on-going war which has surrounded it for over a century; the attitude towards science and work, and the contemporary social and economic questions. It is important to note that merely addressing these questions is not sufficient, because it would be easy to settle for trivial answers offering technical ways in which an individual Jew could survive the changes and revolutions facing the nation and world in modern times. To accomplish this necessitates expertise, and the more complicated the situation, the greater the amount of competence required. But this does not demand gadlut beTorah. The type of expertise leaders and public figures already possess is quite adequate; if they are loyal to the path of Torah as taught by their rabbis, and understand the social realities before them, they can find creative solutions to problems faced by different sectarian groups (hareidi or dati, Ashkenazic or Sephardic). This is presently the type of expertise required of Knesset members, ministers, and mid-level theorists. Clearly, they can take advice of rabbis who are familiar in this field, but this does not necessitate significant Torah input. However, true Gedolei haTorah are required to deal with fundamental questions, in order to provide significant and important answers to the perplexities of the generation. They need not offer detailed plans for immediate implementation, but they must set a vision, thoroughly analyze the events and phenomena confronting them, distinguishing between the positive and negative points, and offer direction wherein the positive can triumph over the negative, and even rectify it. How this is determined is a weighty and important question indeed. Obviously, the mere fact that a person decides to tackle the important questions does not entitle him to the designation of gadol baTorah as long as he lacks the competence to do so. Likewise, it is clear that it is not determined by the degree of proficiency. Throughout all the generations there were talmidei chachamim famous for their great erudition, but nevertheless, their knowledge did not place them in the top row of gedolei haTorah, because that is determined by the degree of comprehension and penetration into the roots of the matter. The first level includes those who merit understanding the root of the svara (rational inference) of every individual halakha or agadah they learn – these are the regular talmidei chachamim. The second level includes those who merit delving deeper, understanding the inner svara which clarifies several halakhot collectively, and thus know how to resolve various questions. For example, rabbis who present the important lectures in yeshivot, who are able to explain numerous sugiyot (issues in the Talmud) along the lines of one concept, and are great in lamdanut (erudition). They can also be important poskim (Jewish law arbiters) who, out of their profound comprehension, understand numerous halakhot, and know how to contend with new questions, and usually are gedolim in a some fields of halakha. Some of those on this level merit comprehending the inner svara which clarifies various matters of aggadah, and they are gedolim in machshava (Jewish philosophic thought) and emunah (faith). The third level includes those who delve deeper into the inner roots of the svarot, both in halakha, aggadah, and pnimiyut ha’Torah (the deepest aspects of Torah). Consequently, they understand the general rules of the Torah more profoundly, and as a result, the details of halakhot and midrashim are clearer to them; they know how to give comprehensive instruction and guidance in matters concerning the affairs of the clal (general public) and the prat (individual), the spiritual, and the practical. These are the true Gedolei haTorah. Naturally, there are also numerous intermediate levels, according to the extent of profound thought and inner orientation in the various areas of Torah. Maran Harav Kook zt”l was one of Israel’s unique Gedolei haTorah. He was gifted with tremendous natural talent and by means of his extreme diligence, righteousness, and virtue, merited delving into all areas of Torah to an inconceivable extent, particularly in general issues comprising both halakha and aggadah collectively, clal and prat, sacred and secular. God performed an enormous act of kindness to His nation Israel, and the entire world, by sending us such a great and holy soul to illuminate our path in these extraordinary times – generations filled with highs and lows, tremendous scientific achievements and terrible moral confusion, the revealing of individual talents and the decay of national, societal, and family values. In generations where all orders of life are shifting, it is essential to delve deeply into the Torah so as to instruct, correct, and redeem all that is continually revealed. In order to contend with such types of challenges, regular gadlute baTorah is not sufficient – not even of the third level. What is called for is the type of greatness of Moshe Rabbeinu and Ezra the Scribe. Needless to say, someone who does not understand the teachings of Maran Harav Kook zt”l cannot be considered one of the Gedolei haTorah of the generation. He can be an expert and well versed in numerous details from the technical side of halakha and aggadah. But he cannot truly be Gadol baTorah. Even among those who understood Rav Kook’s teachings, there are two main distinctions. There are those who accepted his general instructions regarding the importance of Eretz Yisrael in our times – the generation of kibbutz galyiot( Ingathering of the Exiles) and atchalta degeulah (beginning of the Redemption). Also, they agree with his teachings in relation to science and work, and the fundamental attitude towards Jews who abandoned Torah but identify with the values of the nation and the Land, or universal values. Owing to their identification with his teachings and luminous character, such talmidei chachamim merit being spiritually connected to the third level. And then there are a select few who delve deeper in understanding the ideas, which genuinely illuminate life, and pave a path to redemption via the light of Torah guidance. It should be noted that among the elder rabbis of the previous generation, whom the hareidi community consider as Gedolei haTorah as well, there were many who were significantly influenced by Maran Harav Kook zt”l. And although they did not follow his path of public leadership, they accepted some of his ideas, remained admirers, and honored his image all their lives. Among them: Rabbi Frank zt”l, Rabbi Aeurbach zt”l, Rabbi Eliyashiv zt”l, Rabbi Wallenberg zt”l, and Rabbi Ovadia Yosef, shlita, may he live a long life. Similarly, Rabbi Kook’s great disciple, Rabbi Yaacov Moshe Charlop zt”l, wrote in his book “Mayanei Hayishua” (Chap. 9), that at the present time, Gedolei haTorahmust engage in the general rules of the Torah. In that chapter he explains that the prophets dealt with general rules for life, because when the general rules are set right, all the details fall into place. However, as a result of Israel’s transgressions, the general rules deteriorated and the Holy Temple was destroyed; consequently, our main task in galut (Diaspora) was rectifying the details themselves. But when the beginning of salvation occurs, and as the world gradually recovers, the longing for the general rules increases (and when the general rules from the source of the Torah are not provided, consequently, they are sought after in alien places, and chutzpah (audacity) and lawlessness intensify). “At that time, if narrow-minded people come forward, assuming to hasten the final redemption by speaking only about rectifying the details alone, failing to speak favorably about correcting the general rules, they fall into the category of ‘a student who has not reached the level of teaching, but nevertheless teaches’, disarranging all the spiritual conduits, because the hidden light is best revealed through illuminating the general rules, and uplifting the worlds. As a continuation to the vision of revealing Torah in its greatness, Rav Kook viewed the establishment of the Chief Rabbinate as a nucleus from which a significant and united Torah leadership could develop. However, after Rav Kook zt”l passed away, the independent status of the Chief Rabbinate steadily deteriorated. From a rabbinate which presented a vision emanating from a totally autonomous position, devoid of subordination to public institutions or to public circles, the rabbinate grew to be a subordinate public institutions, subject to the present legal establishment. No longer was the focus on offering a comprehensive vision, but rather finding halakhic solutions for presented situations, shaped by public and political leadership. Even the attempt of Rabbi Herzog zt”l to suggest an alternative constitution for the State of Israel, was not an effort to propose an all-inclusive constitution, rather, to find ways to ‘kasher’ the norms of the country’s leaders, within the framework of halakha. Still the Chief Rabbis and the members of the Rabbinical Council were for a long time, the greatest talmidei chachamim of the time in Israel. Gradually, this status eroded, with the rabbinate recently becoming a supervisory department for a handful of religious matters, such as marriage, conversions, and kashrut. In such a situation, although the rabbinate plays a very important role in managing these affairs, we are no longer talking about a supreme, moral, and spiritual Torah authority of mara d’atra (lit. “master of the house,” i.e. Israel’s authority in Jewish law). Rather, the role of the Chief Rabbi became at best similar to that of a director of religious affairs, and at worst – the spokesperson for religious affairs. This underscores just how much we must continue studying, delving, and identifying with the great vision of Maran Harav Kook zt”l, in order to increase and glorify the Torah and elevate the status of its bearers, so the light of the redeeming Torah can illuminate the entire world. What is a “Posek HaDor”? The article below, is from the brilliant Rabbi Nathan Lopez-Cardozo. My take on his article is that he is expressing exasperation that some who were recently “crowned” with the mantle of Posek HaDor were lacking in their interaction with society and as such were compromised in some decision-making. In addition, those Poskim responded to questions from Askanim and others on matters that were perhaps not halachic. Although I understand where Rabbi Cardozo is coming from, I don’t agree with the need to somehow define the characteristics of a Posek HaDor as it can overly paint Rabonim today in a negative light. It would be more important to define the Dor, the generation that this Posek is addressing. If one does that, it is clear to me that some more recent Poskei HaDor, who were Halachic geniuses, utterly righteous and as close as humanly possible to spiritual perfection, never saw themselves as paskening for the wider Dor. The wider Dor includes those in Chutz La’aretz, let alone communities in Israel who are not aligned with that Posek’s political Weltanschauung. Two outstanding Poskim, who in my estimation were Poskei HaDor were R’ Moshe Feinstein ז’ל and R’ Shlomo Zalman Auerbach ז’ל. The latter used to answer questions from well outside his Sha’arei Chesed and Kol Torah spheres of influence. R’ Aharon Lichtenstein, a son-in-law of the Rav, a PhD in English Literature and Rosh Yeshivah of a Hesder Yeshivah, considered R’ Shlomo Zalman as the Posek he consulted for his own Sheylos. R’ Aharon came to him. R’ Shlomo Zalman didn’t seek questioners, let alone Rabbonim like R’ Aharon, who are themselves conversant with Kol HaTorah and spend every spare moment learning Torah and teaching. R’ Telsner told me that he knew R’ Aharon in the USA, and while R’ Aharon was studying his PhD in English Literature at Harvard, he never spent less than eight hours a day, every day, deep in learning Torah. R’ Telsner said that he was known as an incredible Masmid. Yet, R’ Aharon went to R’ Shlomo Zalman like a Talmid Lifnei Rabo. The same is true of R’ Avigdor Nevenzahl (immediate past Rabbi of the Old City of Jerusalem) and others. Why did this happen? I believe it happened because they satisfied the criteria of R’ Lopez-Cardozo, but not necessarily using the experiential techniques that R’ Lopez-Cardozo advocates. Both R’ Shlomo Zalman and R’ Moshe knew about the pain of the widow and Aguna, as well as the abused child. Their Neshomos were special and sensitised to the plight of others. They also understood their audience. Many times, R’ Shlomo Zalman would refer the questioner to their own Rav or Rosh Yeshivah. Their greatness has been shown time and time again, without the need to resort to Artscroll-style hagiography. Yet, while both were considered Poskei HaDor, it was not uniform. Satmar, for example, attacked R’ Moshe unceasingly and the Eda Charedis never considered R’ Shlomo Zalman to be their Posek, as he was too much of a “Zionist”. Ironically, both R’ Moshe and R’ Shlomo Zalman often referred questioners from outside of their countries of residence to the “Great Rabonim of Israel” or the “Great Rabonim of the USA”. They had no tickets on themselves. Rabbi Lopez-Cardozo’s article follows below. Nothing is more difficult than being a “Posek HaDor,” the foremost leading halachic arbiter of the Jewish people, in our complicated and troublesome days. The Posek HaDor is the man whose halachic knowledge is greater than anyone else’s, and furthermore, is considered to have “da’as Torah,” divine inspiration. Consequently he has to decide on issues of life and death, literally and figuratively. He is seen as someone who can make judgments about political matters, both local and international, especially in and concerning the Land of Israel. Such a person must have a kind of wisdom surpassing anything that ordinary mortals could ever dream of. He is asked to singlehandedly decide matters which will affect hundreds of thousands of orthodox Jews, and by extension, millions of secular Jews. What are the conditions under which a person is able to fulfill such a task? And does Judaism truly want one person to have such a task? Never has the Posek HaDor been confronted with so many challenges. It was the establishment of the State of Israel that threw all Jews around the globe into a new world-order and created a need for unprecedented religious leadership. Social and economic conditions have changed radically, creating major upheavals in Jewish life. Unprecedented opportunities have arisen that need to be translated in reality. Will the Posek HaDor grasp those opportunities and turn them into major victories, and inspire his people? Or will he close himself up and live in denial and continue as if nothing has changed? Will he be aware that he needs to lead religious Jewry in and through a new world-order? That his views will not only affect Jews but even gentiles, as his voice will be heard far beyond the Jewish community, transmitted via the Internet? Will he realize that he may have to give guidance to an often extremely secular and troubled world which is in great need of hearing the words of a Jewish sage? Will he realize that his decisions must reflect the fact that Jews are asked to be a light unto the nations—a light which must shine everywhere? Or will he only focus on the often narrow world of orthodoxy, and look down on or ignore the gentile or secular world? Most Jews today are no longer observant and are not inspired by Judaism. To them, Judaism has become irrelevant and outdated. The reasons for this tragedy are many, but no doubt the failure to convey halacha as something exciting and ennobling like the music of Mozart or Beethoven is a large component. Only when a Jew is taught why it is that halacha offers him the musical notes with which he is able to play his soul’s sonata will he be able to hear its magnificent music. Just as great scientists are fascinated when they investigate the properties of DNA or the habits of a tiny insect under a microscope, so should even a secular Jew be moved to his depths when he encounters the colors and fine subtleties of the world of halacha. But does the posek realize this himself, and does he convey that message when he deals with halachic inquiries? Are not many orthodox Jews nearsighted and in dire need of a wider vision? Is making sure that a chicken is kosher all that there is to kashrut? Or are the laws of kashrut just one element of a grand Weltanschauung which defines the mission of the people of Israel; a mission whose importance surpasses by far the single question of a chicken’s kashrut? Should such inquiries not be one small component of larger questions concerning the plague of consumerism and mankind’s obsessive pursuit of ever-increasing comfort? Should the posek who is asked about the kashrut of somebody’s tefillin not ask the questioner: And what about the kashrut of your much-too-expensive and ostentatious car? Is he not first of all an educator? Or does he still believe that only hard-line rulings will do the job and create the future for a deeply religious Judaism? Is it not the first requirement of the posek to live in radical amazement, and to see God’s fingers in every dimension of human existence, whether it is the Torah, Talmud, science, technology and, above all, in the constant changing of history which may quite well mean that God demands different decisions than those of the past? Today’s halachic living is being deeply disrupted by observance becoming mere habit. Outward compliance with externalities has taken the place of the engagement of the whole person with God. The jewel has got lost in the setting. Over the years this problem has become exacerbated because everything in Judaism is now turned into a halachic issue. It is the task of the posek to make sure that Judaism does not get identified only with legalism. There is a whole religious world beyond halacha. One of aggadah, philosophy, deep emotional experiences, devotion and often un-finalized beliefs. Should these not enter in the very process of how halacha is to be applied? The task of halacha was to ensure that Judaism did not evaporate into an utopian reverie; some kind of superficial spiritualism. But what happened on the ground? Did not Judaism develop into something different because this delicate balance was lost; a kind of sacred behaviorism? Judaism was never supposed to become a religion that is paralyzed in its awe of rigid tradition. Halacha is supposed to be the practical upshot of un-finalized beliefs. Judaism is a fluid liquid that must be transformed into a solid substance. It needs to chill the heated steel of exalted ideas and turn them into pragmatic deeds without allowing the inner heat to be cooled off entirely. Should halacha not be a midwife which gives birth not only to answers, but also to profound spiritual questions created by that very halacha? If so, shouldn’t we make sure not to turn the Posek HaDor into somebody who needs to give on the spot answers as if one presses a button? Would it not be wise, for example, for a group of women, and above all, the wife of the posek, to be deeply involved in certain halachic decisions when they touch upon emotions and social conditions that they may understand better than the posek/husband? Why do we almost never hear about the spouse of the Posek HaDor, of her wisdom, and above all the sacrifice entailed in being married to such a great man, who is needed by so many and often has so little time for his own family? Is it possible to be a Posek HaDor if one is absolutely sure of the truth of one’s religion but not informed or aware of the many challenges today’s world presents to religious faith and Judaism? How could such a person be able to understand the many issues of people who live in doubt? Will he understand the sincere troubles of the confused teenager; the Jewish Ethiopian; the bereaved parent; the struggling religious homosexual; the child of a mixed marriage with only a Jewish father; even the Christian or Buddhist who has an affinity for Judaism and asks for guidance? Is there anybody in this world who has all the qualities necessary to singlehandedly rule on these matters? Is it not highly unfair and extremely dangerous to ask one human being, however pious and wise, to adequately respond to all these issues? Would this not require teamwork with fellow poskim who may not be as learned in halacha but are much more familiar with many of the problems of which the Posek HaDor may not be aware? Should the Posek HaDor not be advised by a team of highly experienced professionals, such as psychologists, social workers and scientists, before giving a ruling, so as to prevent major pitfalls? Is halacha not to be decided by consensus, instead of by one person, even when he is the greatest? Should poskim not encourage new Torah ideas and shun the denunciation of books which try to bring religion and science into harmony, instead of banning them, as the Vatican used to do in bygone times? Is it not a tragedy and a Chilul Hashem, a desecration of God’s name, that such bans appear in secular newspapers, and are then ridiculed, since they so often prove the total lack of scientific knowledge on the part of those who sign the bans? Would it not be better that some of the greatest rabbis themselves offer scientific and philosophical solutions to possible conflicts between Torah and science, as has always been done throughout Jewish history, instead of simply calling something heresy? Inquisitions have no place in Judaism. Should the Posek HaDor not have broad enough shoulders to be able to appreciate different worldviews, including Zionist, non-Zionist, ultra-orthodox and modern-orthodox and make sure that all these denominations feel that the posek is impartial, making space for their varied ideologies? Could he not even have an open ear for Reform and Conservative Judaism and realize that many of their adherents are serious about their Judaism, even though he will not agree with these movements? Could he explain to them adequately why he disagrees? A real Posek should go down to women’s shelters, speak personally with abused children, perhaps deny himself food and drink so that he feels the real terror of poverty. Unless he is a very sensitive soul, should he not get himself “hospitalized” and spend time observing the lives of sick people? They are in the hands of doctors and nurses who do not always deal with their patients in an adequate way, whether through lack of time, insensitivity, or some other reason. Before dealing with the question of agunot and the refusal of husbands to give a get, a writ of divorce, to their wives, would it not be a good idea to leave one’s wife (with her consent) for a long period and live in total loneliness, to understand what it means to live in utter silence and having no life partner? Is the Posek HaDor not responsible for narrowing the serious gap between the ultra-orthodox and the rest of Israeli society, and coming up with creative halachic solutions which will boggle the minds of all sections of Jewry? The new Posek HaDor must be somebody who will propose unprecedented solutions for dealing with the status of the tens of thousands of non-Jews of Jewish descent living in the State of Israel. He needs to make sure that courses on Judaism are so attractive that halacha becomes irresistible. He should instruct his students to welcome these people with open arms, knowing quite well that otherwise we will be confronted with a huge problem of intermarriage in the State of Israel. This is now a halachic problem which can no longer be solved on an individual level and threatens the very existence of the Jewish State. His prophetic and long term view must ensure that debacles such as the present one concerning the exemption of yeshiva students from army service, which is now exploding in front of our eyes, will never take place again. For nearly two thousand years, Jewish Law has been developed into a “waiting mode” in which it became the great “preserver” of the precepts. It was protective and defensive, and mainly committed to conformity, so as to make sure that Judaism and Jews would survive while surrounded by a non-Jewish society which was hostile most of the time. It became a “galut halacha”— an exilic code — in which the Torah sometimes became too stultified. It may have worked in the Diaspora, but can no longer give sufficient guidance in today’s world. Who, after all, will deny that Jews today live in utterly different circumstances despite all the anti-Semitism? The State of Israel is the great catalyst for this new situation, a situation which we had not experienced during the past two thousand years. Are we not therefore in dire need of a new kind of prophetic halacha, in which is presented not only the strict rules of halacha but also the perspectives of our prophets, speaking of burning social and ethical issues from the perspective of a deep religiosity? Has the time not come to leave the final codification of Jewish law behind us; to unfreeze halacha and start reading between the lines of the Talmud to recapture halacha’s authentic nature? To be an arbitrator of Jewish law is to be the conductor of an orchestra. It is not coercion but persuasion which makes it possible for the other to hear the beauty of the music, and to accept a halachic decision as one would listen, willingly, to the final interpretation of a conductor—because one is deeply inspired. To be a posek means to be a person of unprecedented courage. A person willing to initiate a spiritual storm which will shake up the whole of the Jewish community. A storm which will prove that conventional/codified halacha has freed itself from the sandbank in which it has been stuck. In a completely unprecedented shift, poskim should lead the ship of Torah with full sails right into the heart of the Jewish nation, creating such a shock that it will take days, weeks, or months before it is able to get back on its feet. With their knives between their teeth, just like the prophets of biblical days, these great halachic arbiters, with their impeccable and uncompromising conduct, should create a moral-religious uproar which will scare the moral wits out of both secular and religious Jews and weigh heavily on their souls. Poskim should not be “honored,” “valued,” or “well respected,” as they are now, but—as men of truth—they should be both feared and deeply loved. Jews of all backgrounds should be shivering in their shoes at the thought of meeting them, but simultaneously incapable of staying away from their towering, fascinating and warm personalities. Above all, it is the task of the Jewish people to greatly revere this person, but never to extol him to the extent that this reverence touches on idol worship. Let us pray that we will soon meet this personality and make sure that once more Judaism and the Torah will be the great love of all Jews and even of mankind. * With thanks to my friend M.M. van Zuiden. Author pitputimPosted on September 10, 2012 September 12, 2012 Categories R' Moshe Feinstein, R' Shlomo Zalman Auerbach, RabonimTags Posek HaDor, Rabbi Moshe Feinstein, Rabbi Nathan Lopez-Cardozo, Rabbi Shlomo Zalman Auerbach5 Comments on What is a “Posek HaDor”? Restoration of normal sleep patterns. Greater alertness and less daytime sleepiness. Less anxiety and depression and better mood. Patients’ bed partners also report improvement in their own sleep when their mates use CPAP, even though objective sleep tests showed no real difference in the partners’ sleep quality. Current machines are turned on by pressing a button and then “wait” for you to start breathing. Once you breathe, air is pumped into you (at a pre-set measured level depending on whether you are moderately or severely impaired) and this keeps a flap open so that the air you breathe during the night is unobstructed. The obstruction is also one cause of snoring. The machines are relatively quiet. Some machines build up to the required pressure gradually. There is an LCD or LED style readout on the machine that is activated once it is turned on. There is no “visible” fire/filament. Some patients also use a humidifier which is attached to the machine. This warms and wets the pumped air in patients who are unable to breathe through their nose, and whose mouths become dry and irritated as a result. Can these machines be used on Shabbos/Yom Tov? Let’s note first that the accepted opinion is that of R’ Shlomo Zalman Auerbach ז’ל that Electricity is forbidden מדרבנן unless there is flame involved (or filament, as opposed to incandescence). The Chazon Ish isn’t disregarded, but his opinion that all electricity is forbidden דאורייתא is not followed when it comes to medical issues. What about the status of the patient? Is he (most patients are men 40+) a חולה at the time he is using the machine? What type of חולה is he? Is he a חולה שיש בו סכנה or שאין בו סכנה? Is he considered “sick all over”, that is חולה של כל הגוף? Perhaps he is a ספק סכנה? The answer to these questions will probably depend on the severity of the apnea. For example, it might be questionable if the patient was only “mild” as opposed to moderate or severe. On such matters, one needs to consult with experts, that is, Doctors. Preferably, one should see a Sleep Physician. Using a shabbos clock doesn’t really help. It can’t turn on the machine. Furthermore, many machines turn off automatically anyway if left on. I am pretty sure that if you asked a Brisker Posek, they would tell you that there was no שאלה and to go ahead and use it. There is a tradition from R’ Chaim Volozhiner through to R’ Chaim Brisker, the Griz and the Rav, that the Brisker way is to be מחמיר when it comes to looking after health and avoiding illness. There are many stories told in this regard. One that comes to mind was R’ Chaim making his eldest son R’ Moshe Soloveitchik (the father of the Rav) absolutely swear that he would never ever be מחמיר on issues of סכנת נפשות or ספק סכנת נפשות. Only after R’ Moshe did that, was he given permission from his father to take up his first Rabbonus. There have been a few articles written on this topic. R’ Moshe Heineman (who was close to R’ Moshe Feinstein) from the Star K, is lenient, see here. See the opinion of R’ Halperin and R’ Prof. Abraham over here and here who are also lenient. One is required to turn on the machine with a שינוי (change) to minimise any infraction. [I also think one could consider getting two people to turn it on together]. I rang R’ Hershel Schachter to ask his opinion. He stated that if there is no choice but to use such a machine, then what can one do. He quoted the שולחן ערוך of the Baal HaTanya who is lenient in Dinim of a חולה and said that this opinion is defended by the אגלי טל from Sochatchow (the Kotzker Rebbe’s son-in-law). He also suggested turning it on with a Shinui. Some might argue that “what is one night” although this year we know it can be three nights as it is this evening. It seems that the Poskim are wary about interrupting medical treatment and consider such interruptions as contributing cumulatively to the danger (סכנה). I haven’t considered the issue of the humidifier and whether it boils the water to יד סולדת and if there are ramifications thereby. Does anyone out there know of other Psakim? Disclaimer: The above is not L’Halacha and not L’Maaseh. Ask your own Rabbi for advice if you have an issue. There are clear effects on a Jewish soul. The effects, both positive and negative, stem from actions and environment. We normally understand actions as constituting the performance of Mitzvos and good deeds (מעשים טובים). Mitzvos include the principal Mitzvah of Talmud Torah that underpins all Mitzvos and leads one to action (ideally). Kabbalistically inclined Jews amplify claims that there are effects on the spiritual Neshama (טמטום הלב) stemming from the physical food we put into our mouths. Jews who are inclined towards rational interpretations of Judaism, are less likely to be concerned about meta side-effects to a soul from a physical item. Let’s take a concrete example. These days we mostly eat Glatt meat. Glatt means that the internal membranes of the animal are “cleaner” and, therefore, don’t attract attendant questions about whether a particular type of faulty membrane renders the animal Treyf. So called pious Jews prefer not to confront the question in the first place. If the animal is Glatt, then it is squeaky clean, there is no question about its kashrus, and one can be 100% sure that it’s Kosher לכל הדעות. Continuing this theme, the pious Jew may also contend that even if there is a questionable membrane that is considered kosher by 99% of Poskim, since 1% of Poskim consider the animal Treyf, then there is a 1% likelihood that it’s not kosher and one ought not take the 1% risk of damaging one’s soul by ingesting Treyf. Rationalists or Halachic purists will dismiss such pious concerns. They may argue that the Torah presented a divine mandate for a Posek to decide Halacha. If a Posek then determines that the animal is kosher, then it is 100% kosher. This is a binary system; it’s either kosher or it’s not. There is no statistical likelihood of a soul being damaged by opinions which the Posek has determined do not influence his Halachic decision. To put it a different way: the more kabbalistically inclined Jew considers that there is an empirical truth about the kashrus of each item we put in our mouths. Rabbis determining Halacha are mortal and do their best to decide whether that food item is kosher or otherwise. They “get it right” some times and they may “get it wrong” other times perhaps because they dismissed a minority opinion which may well represent the empirical kashrus status of the item. The more rationally inclined Jew will contend that this line of reasoning is baloney (sic). Food with a questionable status isn’t empirically kosher or otherwise. It is rendered Kosher by the decision of the Posek. The Halacha is famously not in heaven: לא בשמים היא and once food has the halachic kashrus imprimatur of a Posek, eat it gezindt aheit. 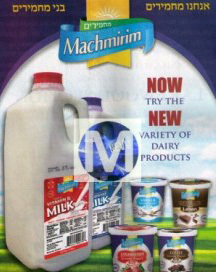 Machmirim milk products (yes, it's real) with 4 Hechsherim. In keeping with Brisker Lomdus, there is another way to view this conundrum. The kabbalistically inclined may consider that Kosher is only ever about the food item itself (the חפצא). Even if a Posek (a גברא) declares that the food is Kosher, as long as a solitary opinion of note contends it is not Kosher, the חפצא cannot be transformed into Kosher by the Halachic determination of a גברא, and remains on the outer. On the other hand, those who adopt a solely rational approach to Halacha may argue that the חפצא has no independent status. The גברא imparts a status to the חפצא through determining Halacha according to the tradition, learning and shimush (apprenticeship) of the Posek. Once the גברא decides, the חפצא takes on an identity. It cannot have a dual identity vis-a-vis the single Posek. The Ramo writes in יו”ד סי` פ”א ס”ז that when a baby ingests unquestionably non-kosher food, the food has a negative effect on the spiritual development and character traits of the child (See the Shach ס”ק כו). This is also mentioned in Shulchan Aruch but only in the context of a baby drinking milk of a nursing woman who has consumed non-kosher food. The Vilna Gaon (ibid) teaches that we learn this from baby Moshe who refused to nurse from a non-Jewish source (שמות רבה א, כה). The Yerushalmi at the beginning of the second perek of חגיגה relates that Elisha ben Abuye (Acher) went off the derech because Elisha’s mother had once succumbed to a sweet smell from Avoda Zara and this had permeated Elisha’s body and tainted his character traits. I just found a nice summary of the issue of the after effects from eating Treyf, on page 3 and onwards here. A question arises on the Pasuk in Parshas Ekev, “על כל מוצא פי ה’ יחיה האדם” where the implication is that through the spiritual emission of Hashem, man lives. How does man live from spirit? Man lives from food. The Ari ז’ל explains that all things physical also have a spiritual component. Therefore, when a human ingests Treyf, the spiritual aspect of that food is also ingested by the Neshama of the person. As the Pasuk in Parshas Ekev goes on to say “כי לא על הלחם לבדו יחיה האדם” Man does not live just from bread alone. That is, man is not only sustained by the physical aspect of bread. After ingestion, Treyf will also nurture the soul. This was R’ Shlomo Zalman. This was why he was one of few universally acclaimed personalities of the previous generation, despite the fact that he issued some controversial and innovative Piskei Din. I asked myself after reading the story, wasn’t R’ Shlomo Zalman worried about the effect on his Neshama (טמטום הלב) after eating under the authority of a Hechsher that he didn’t normally use? The Kabbalistically inclined would perhaps have to agree with the more rationally inclined and answer that the food was Kosher מעיקר הדין so there could not be any damage to the Neshomo? Perhaps the only danger would be to human beings who might be hurt by the implication that they were damaging their Neshomos after they see a Rav refusing to eat at their Simcha? Author pitputimPosted on March 14, 2011 Categories Derech Eretz, Halacha, Kashrus, R' Shlomo Zalman AuerbachTags derech eretz, kashrus, timtum halev3 Comments on We are what we eat?